212 pages | 40 B/W Illus. China is currently afflicted by enormous environmental problems. This book, drawing on ancient and modern Chinese environmental thinking, considers what it is that makes an environment a desirable place for living. The book emphasises ideas of beauty, and discusses how these ideas can be applied in natural, agricultural and urban environments in order to produce desirable environments. The book argues that environment is both a product of nature and of human beings, and as such is potentially alterable by culture. The book explores the three aspects of environmental beauty whereby such alteration might be beneficially made: integrated and holistic; ecological and man-made; and authentic and everyday. 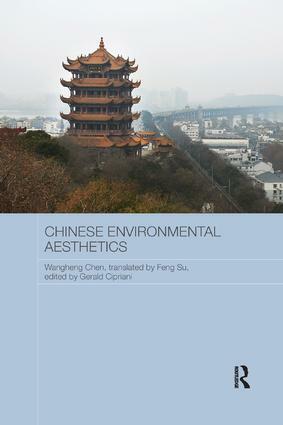 This book addresses environmental issues by distinctively suggesting that an aesthetic approach inspired from ancient Chinese tradition could help us overcome the many problems that human beings have created at local and global levels. Although its main focus is the traditional and current contexts of the People’s Republic of China, the book transcends national borders. A typical example is the ancient Chinese thought system and cultural practice of Feng Shui (風水) that sought to negotiate how the natural environment and human constructions can cohabit without destructing each other. The author evokes that sought-after harmony through the powerful image of gardens of life whose environmental beauty can be found in traditional Chinese gardens and palaces as well as historically and culturally preserved cities. "Chen’s thinking reaches a clarity that is inspiring and practical…This book is for philosophers, architects, landscape architects, artists who seeking to differentiate kinds of beauty (e.g., natural, artistic, and environmental), and community activists who work to save landscapes and historical sites. Chen’s references to Chinese shanshui painting and the inclusion of many images in black and white will interest students of world culture and the history of Asian art. This book will benefit all who seek to balance the advantages of science and new technologies with a spiritual well-being that comes from cultivating an intimate unity with the natural environment." Wangheng Chen is Professor of Philosophy at Wuhan University, PR China. Feng Su is lecturer in history and theory of art at Hunan Normal University, China. Gerald Cipriani teaches philosophy at the National University of Ireland, Galway (NUIG).